The Noosa Tri is one of the most sought after multi-sport events in the world. Join our 2019 Noosa Tri team and be part of the team making wishes come true. Make-A-Wish guarantees free entry to all Team Wish participants - that's a saving of $318.60 for standard race entry. Get your exclusive Make-A-Wish branded tri-suit, race bib and even a medal - it's our way of saying thanks! Compete against yourself and others in your class, with a designated start time. Celebrate your PB and fundraising achievements with complimentary access to other festival events. Sign up today using the form below and get FREE entry by committing to raise $1,500. Your fundraising makes a lasting impact by creating more unforgettable wishes. **Thanks to an overwhelming response, please note we are now accepting waitlist applications only. We'll be in touch with all successful applicants to start your preparations. Make-A-Wish will help you train hard and smash both your personal and charitable goals, with dedicated access to our fundraising experts and online toolkit. 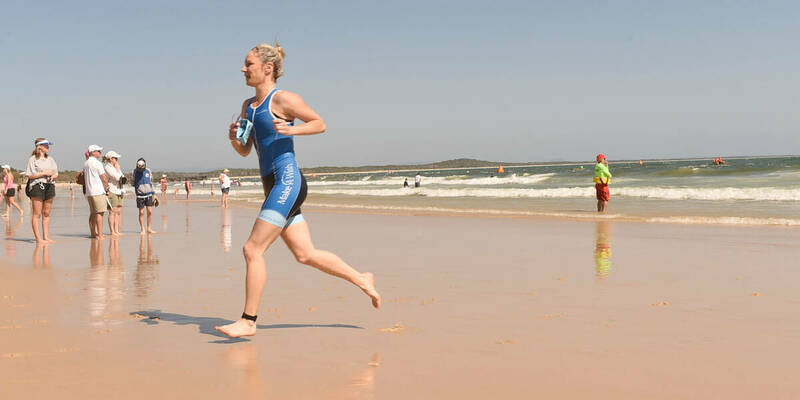 Head to Noosa for the big event on Sunday 3 November 2019, ready to swim, cycle and run! We'll be there to cheer you on and say a very well deserved well done after the event. Give it your best, and know that where you finish, you're part of the team making wishes come true. Join Team Wish at the Noosa Tri for guaranteed free entry! Sign up for a free spot by committing to raise $1500 to grant unforgettable wishes. You’ll get help to smash that fundraising goal with dedicated access to our fundraising experts and online fundraising guide. Every day, six families across Australia receive the devastating news that their child has a life-threatening illness. That’s more than 2,000 children each year who need the chance to escape their reality and focus on being a kid again. Together, we can help open up a new world of hope and opportunity for sick kids, helping them discover anything is possible.